A polypenny is a figure made of equal discs joined tangentially. 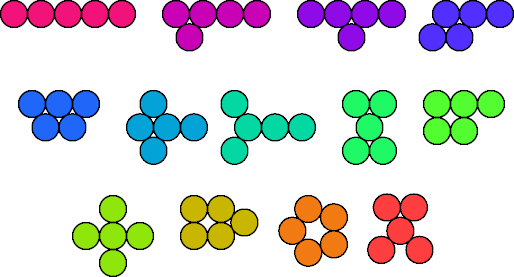 Polypennies are identified by plane homeomorphism: continuous deformation of the plane. Free polypennies may be reflected; one-sided polypennies may not. This page shows all free polypennies of orders 1–6. Erich Friedman enumerated all polypennies up to order 4. Alexandre Owen Muñiz enumerates polypennies up to order 5 on Flexible Polyforms at his site Math at First Sight. 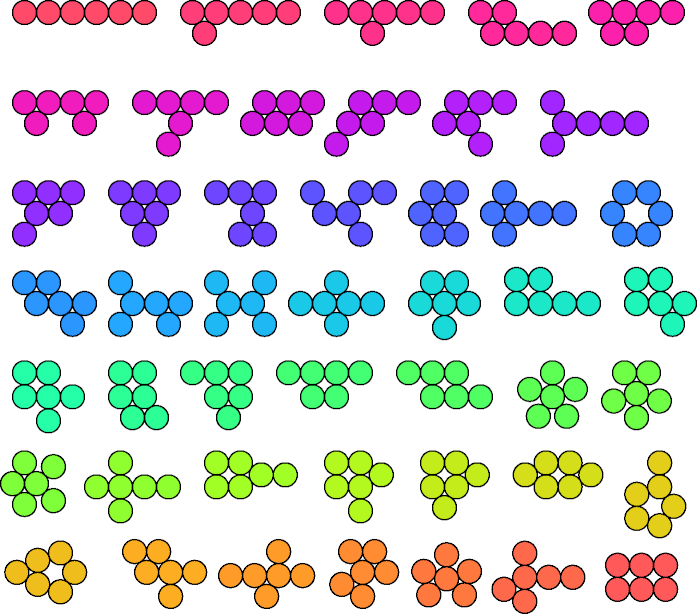 The On-Line Encyclopedia of Integer Sequences enumerates connected penny graphs (not polypennies) up to order 8 as sequence A085632.